order for 1000 "light machine gun tanks"
During the summer of 1916, a discussion about tanks began between Louis Renault and his team and General Estienne. In October 1916, a light tank project achievable in 3 months was submitted to General Estienne. 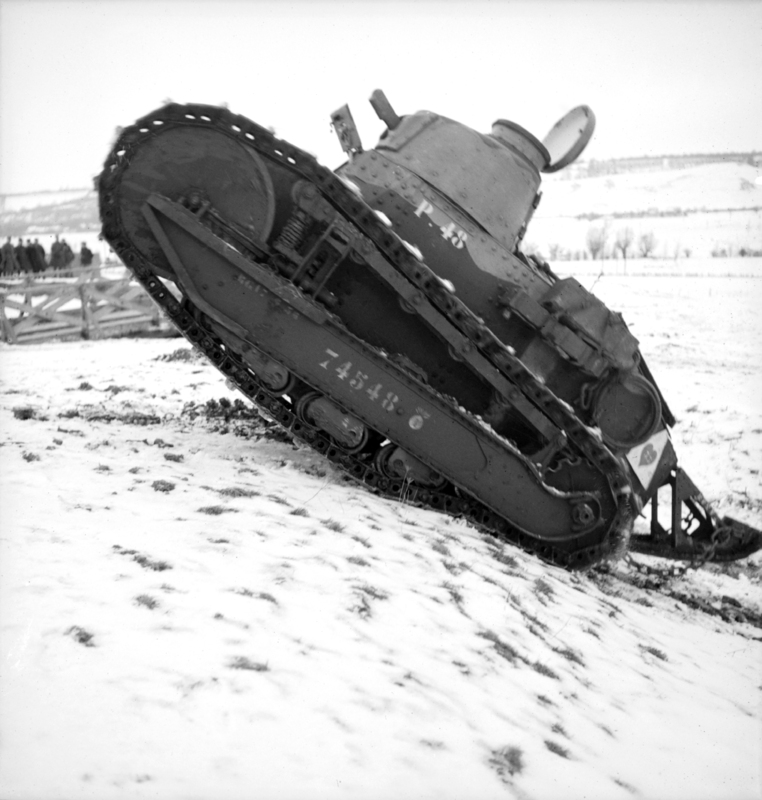 The general, convinced by the concept of the light tank, asked the commander-in-chief, General Joffre, to support his request and place an order for machines meeting precise specifications: maximum weight 4 tonnes, maximum height 1.75 m, armour resistant to 30 m (or 22 mm), machine gun on 360° turret, 2-man crew. Maximum speed 12 km/h maximum, 40 hp engine. 1. Renault FT 17 tank of the 9th army. Joffre then wrote to the under-secretary of state for war: "I believe that, both to reinforce the artillery units and to create groups of gunners to support attack divisions on troubled terrain, it would be helpful to have a thousand machine gun tanks at our disposal" and "I would like a machine gun tank of this type to be produced as quickly as possible and I think you should be aware that the firm Renault has set up a project that can satisfy this demand". Challenged by his successor, the order was initially effective only for a prototype model before the bulk orders placed in 1917.